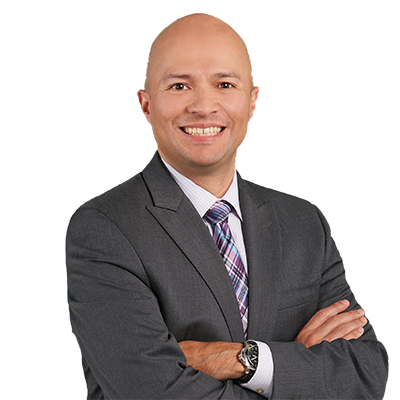 Jorge Martinez concentrates his practice on defending multi-million dollar tort and commercial litigation claims. He has defended clients in state and federal courts throughout the United States and has the distinct honor of the AV Preeminent® Rating - Martindale-Hubbell's® highest possible rating for both ethical standards and legal ability. He has defended catastrophic injury, wrongful death, and property damage cases arising from product defect and premises liability claims, trucking and motor vehicle accidents, construction site accidents, fire-related issues and many other tort and contractual based actions. Jorge is the managing partner of the firm's Orange County office. Jorge has defended individual, multi-party and class-action claims in various industries, including automotive, machinery, agriculture, construction, consumer goods, transportation, and insurance. He also serves as defense counsel for primary and excess carriers for specialty insurance litigation and consults with manufacturers in the development of product warranties, consumer manuals, warnings, alternative dispute resolution mechanisms, and federal and state regulatory compliance. He also has extensive complex business litigation experience in defending corporations against allegations of breach of contract, fraud and Unfair Business Competition (California Business & Professions Code, Section 17200) claims. In addition to coordinating and executing aggressive, custom-tailored defense strategies for Taylor | Anderson clients, Jorge also serves as a settlement officer for personal injury cases submitted to the Voluntary Settlement Conference Program in the Los Angeles County Superior Court.